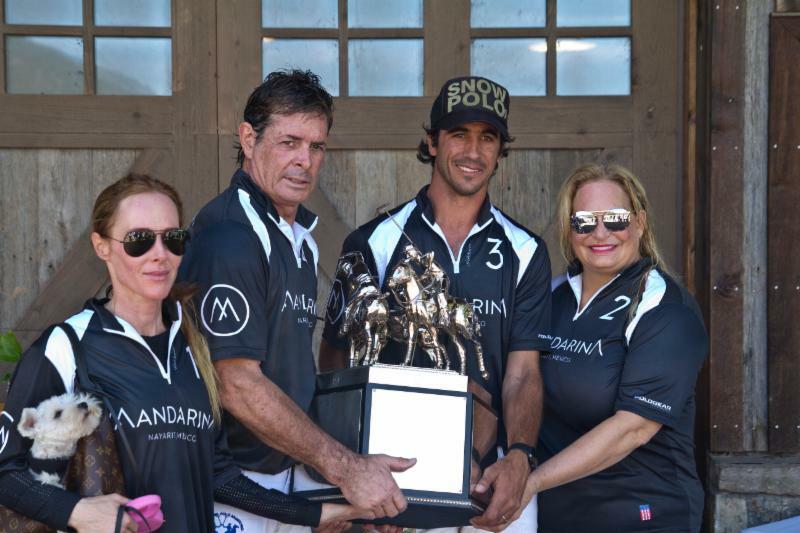 Mandarina winning teammates Sarah Magness, Juan Bollini, Alejandro Novillo Astrada and Melissa Ganzi. 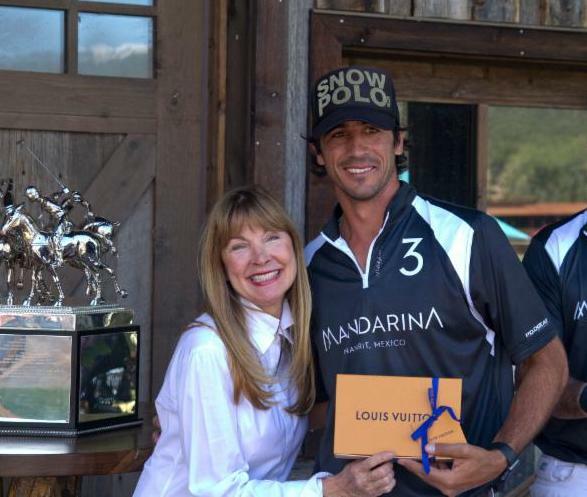 CARBONDALE, Colo., September 4, 2018---First-year team Mandarina won the biggest prize of the summer polo season Sunday at Aspen Valley Polo Club. Team finalists Woodrow Farm and Mandarina. 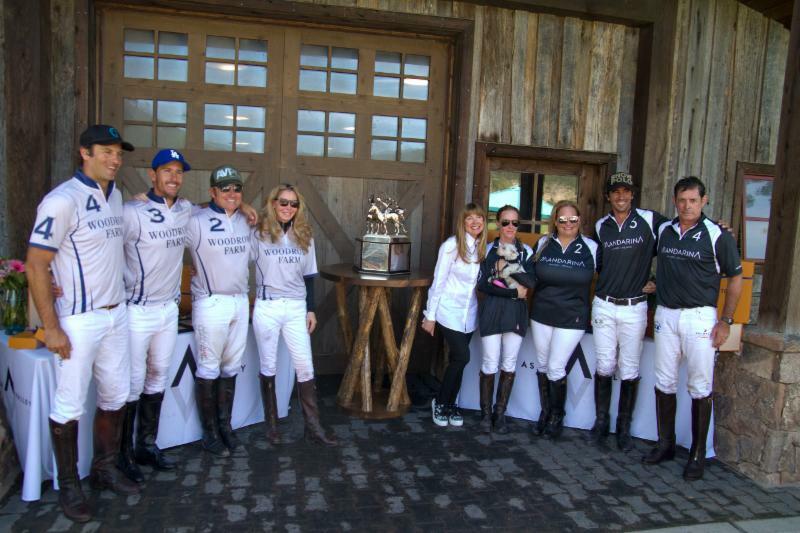 The foursome of Sarah Magness, Melissa Ganzi, Alejandro Novillo Astrada and Juan Bollini won the coveted Triple Crown of Polo with a thrilling 7-6 victory over Woodrow Farm (Leigh Brecheen, Marc Ganzi, Nic Roldan, Tano Vial) in the season finale. Argentine 8-goaler Alejandro Novillo Astrada was named Most Valuable Player. Alejandro Novillo Astrada of Mandarina hooks Nic Roldan. 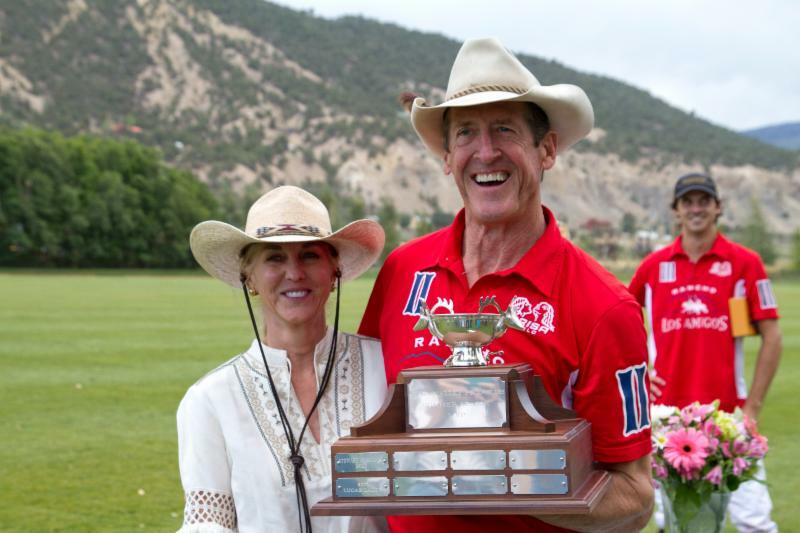 Longtime player and U.S. Polo Association Secretary Stewart Armstrong was selected Most Valuable Player for with his consistent play and strong defense during the summer season. Music, a 5-year-old thoroughbred dark bay mare, was chosen Best Playing Pony. She was played by Alejandro Novillo Astrada, trained by Tiana Smicklas and owned by Wellington-based Santa Rita Polo Farm. 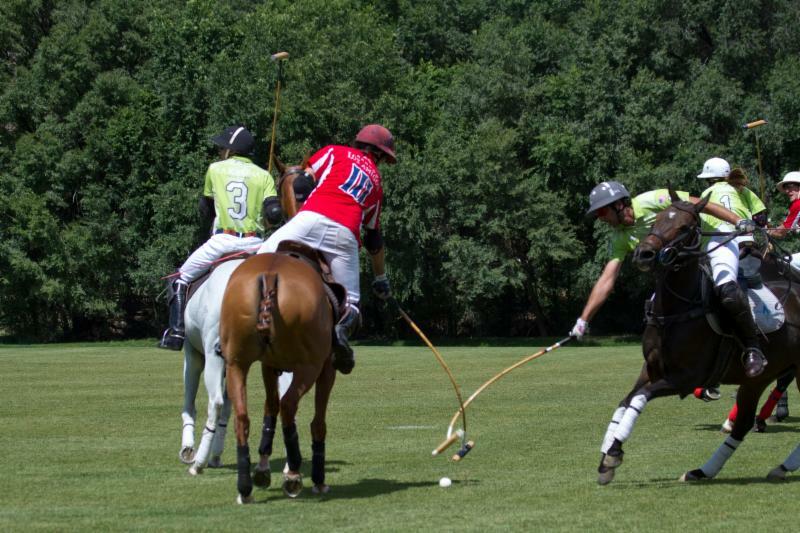 Juan Bollini of Mandarina hits a neck shot. 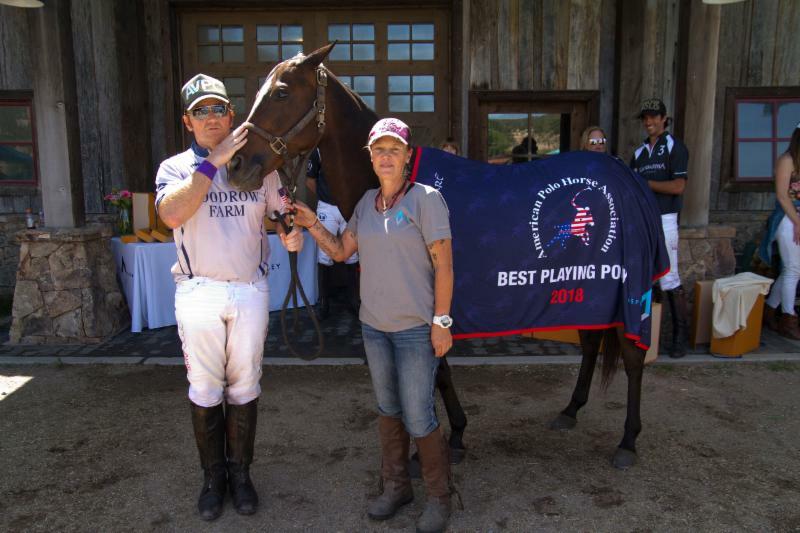 Basalt, a 6-year-old dark bay mare (by Quarzo out of Shekankipper), played by Marc Ganzi and owned by Santa Rita Polo Farm, was selected the American Polo Horse Association best registered horse of the game. The APHA was created in 2006 by Hall of Famer Sunny Hale to recognize polo ponies in America and encourages events that showcase them and hard-working dedication of grooms. Leigh Brecheen of Woodrow Farm works to control possession. In the championship final, Melissa Ganzi led Mandarina with a game-high five goals including the game-winner. Magness and Novillo Astrada each had one goal. For Woodrow Farm, Brecheen and Roldan each had two goals and Ganzi and Vial each had one. Alejandro Novillo Astrada of Mandarina hits a near side shot with Marc Ganzi defending. 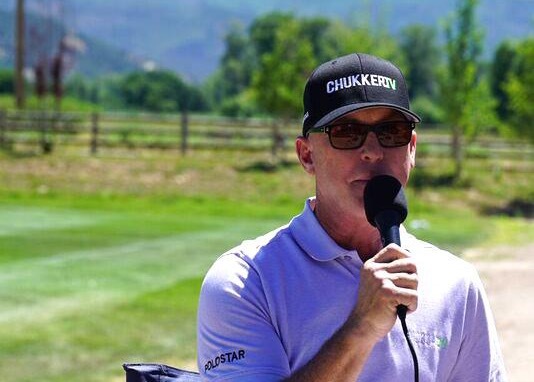 After a 3-3 halftime score, Roldan scored the only goal in the fourth chukker to give Woodrow Farm a 4-3 lead. Mandarina found its offense in the fifth chukker outscoring Woodrow Farm, 3-0, to take a 6-4 lead going into the final chukker. Ganzi's final goal in the sixth gave them a 7-4 advantage. Woodrow Farm tried to rally with two goals but ran out of time. Sarah Magness of Mandarina hits downfield. 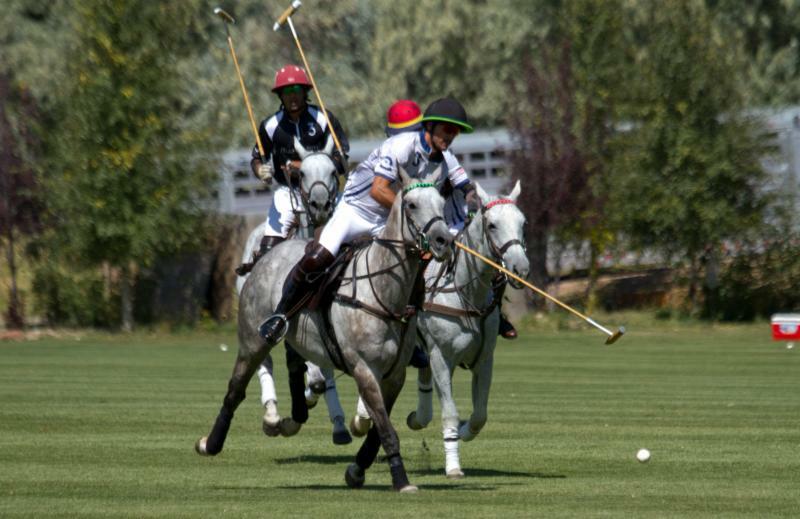 The Triple Crown of Polo was the tenth and final outdoor grass tournament and 13th overall of the most successful summer polo season at AVPC. 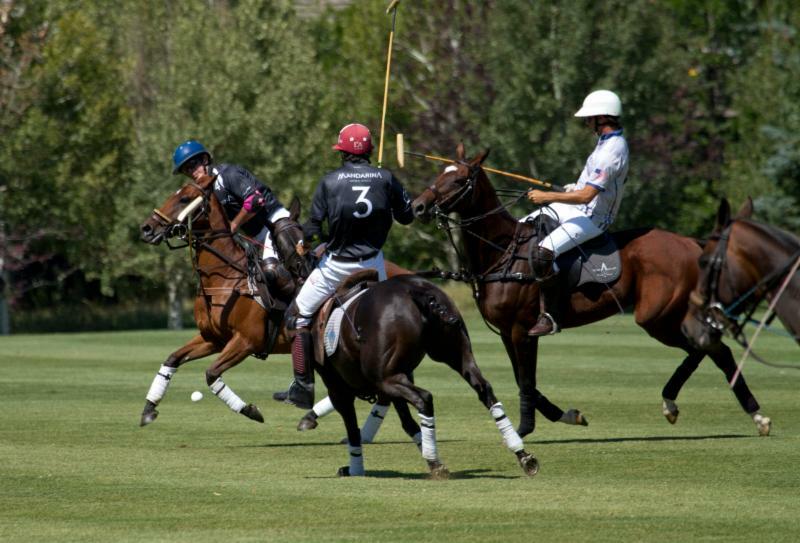 This is the first season players are competing for the coveted Triple Crown of Polo. 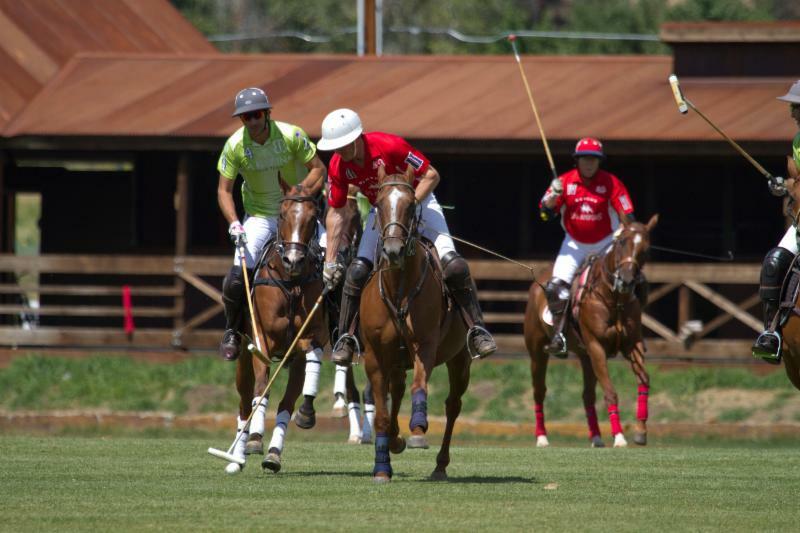 The Triple Crown of Polo Denver was won by Scone (David Paradice, Agustin Nero, Agusto Gomez Romero, Guillermo Terrera). 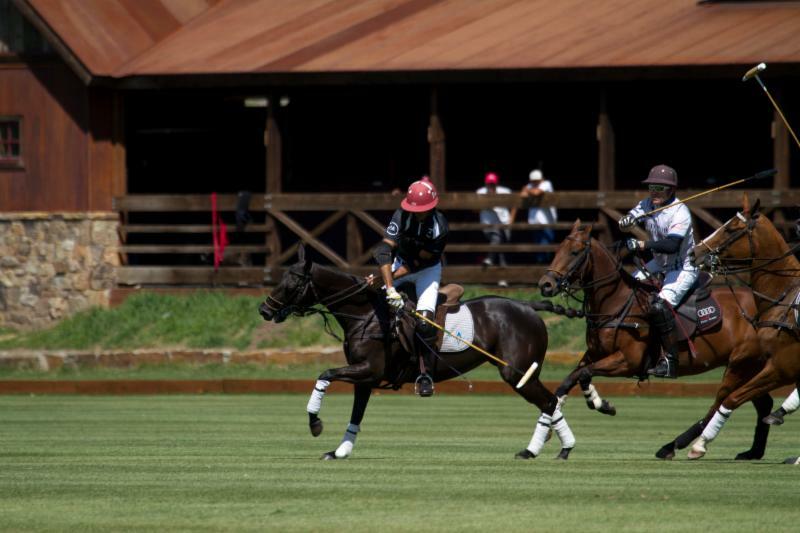 The Triple Crown of Polo Palm Beach is set for Grand Champions Polo Club on Nov. 14. Nic Roldan of Woodrow Farm hits a near side shot. Designed by Tiffany & Co., the magnificent trophy is comprised of three separate trophies that fit perfectly together to create an entire polo scene that is breathtaking in sterling silver. The winning teams' names will be inscribed on the trophy and added to an impressive list of teams that feature several top players including Sebastian Merlos, Mike Azzaro, Tommy Biddle, Adam Snow, Nic Roldan, Matias Magrini, Jeff Hall, Mariano Gonzalez, Michel Dorignac and Kris Kampsen. Awards presenter Lexi Potamkin with game MVP Alejandro Novillo Astrada of Mandarina. The Triple Crown of Polo, an ESPN2 television series, was created in 2005 by David McLane, known for Pro Beach Hockey, Women of Wrestling and Gorgeous Ladies of Wrestling, to help promote polo in the U.S. 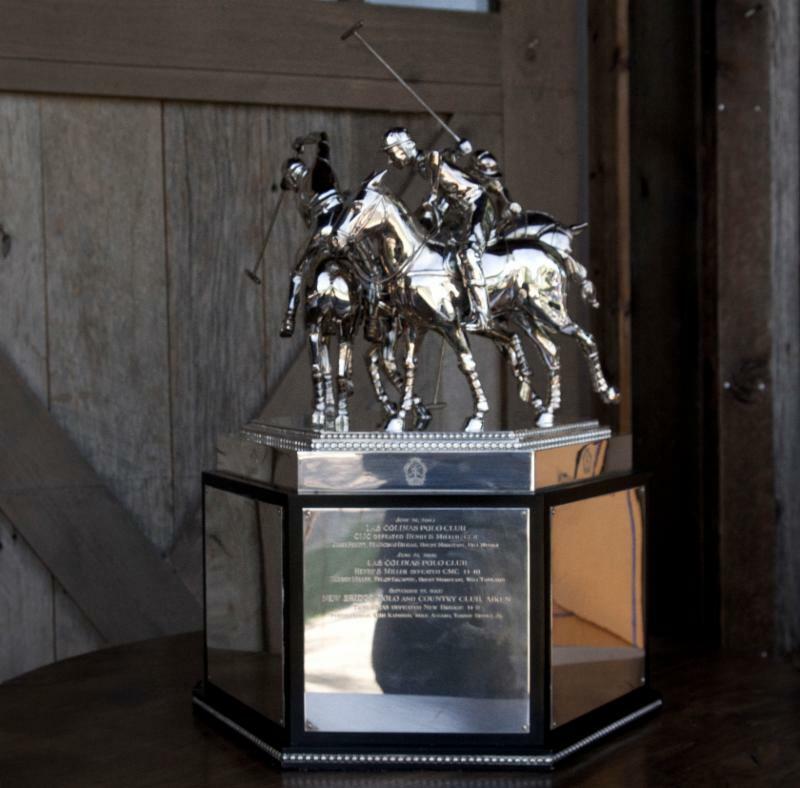 The spectacular trophy was created for the event that had stops in Sarasota, Dallas, Santa Barbara and Aiken during its heyday. 2018 Season MVP Stewart Armstrong with wife Cece. In the Just For The Love Of It Cup, Los Amigos (Pablo Dorignac, Stewart Armstrong, Lucas Lalor, Paul Foster) defeated La Karina (Alejandra de la Vega, Brian Boyd, Carlitos Gracida, Nacho Novillo Astrada), 11-10. Lucas Lalor of Los Amigos and Nacho Novillo Astrada of La Karina cross mallets. Dorignac scored a team-high five goals for Los Amigos and was selected Most Valuable Player for the subsidiary game. Foster had three, Armstrong scored two and Lalor added one. For La Karina, Novillo Astrada scored a game-high six goals. Boyd had two and De La Vega and Gracida each scored one goal. Los Amigos came from behind to tie at halftime and outscored La Karina, 5-2, in the fourth and fifth chukkers for a 10-7 lead going into the sixth. La Karina came back with three goals from Novillo Astrada but ran out of time. Foster's last goal turned out to be the game-winner. MVP Pablo Dorignac of Los Amigos on his way to scoring one of his team-high five goals. 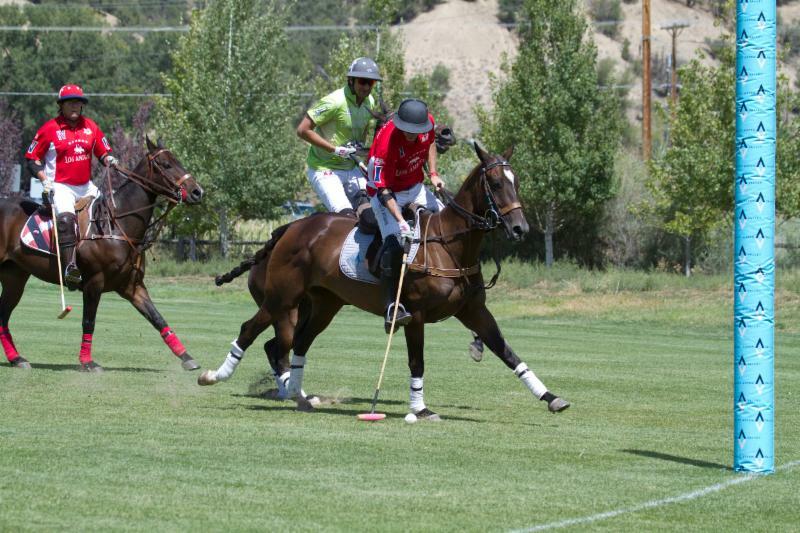 Earlier in the week, Mandarina (Sarah Magness, Melissa Ganzi, Nacho Novillo Astrada) defeated Casablanca (Carlitos Gracida, Ailsa Currier, Juan Bollini), 13-11, to capture the USPA Rocky Mountain Circuit Arena Congressional Cup at the club's outdoor arena. Magness scored a game-high eight goals and Ganzi added four. The team received one goal on handicap. Bollini and Currier each had four goals and Gracida had three. Stewart Armstrong of Los Amigos works the ball in the subsidiary game. For the eighth and final consecutive Sunday doubleheader local firefighters and first responders were honored during AVPC's "Polo Cares" initiative. Each Sunday firefighters and their families have been acknowledged on AVPC's featured game day. The club had donation boxes for anyone wishing to contribute to local fire and rescue stations. AVPC matched all funds collected 100 percent. 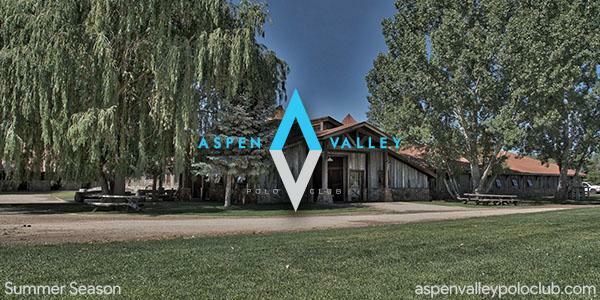 AVPC wanted to show its appreciation and support of the hundreds of brave men and women who battled the third largest fire in Colorado history. Best Playing Pony Music played by Alejandro Novillo Astrada of Mandarina. La Karina and Los Amigos were the season's winningest teams, each winning three tournament titles. Last year Casablanca was the club's winningest team with three tournament wins. 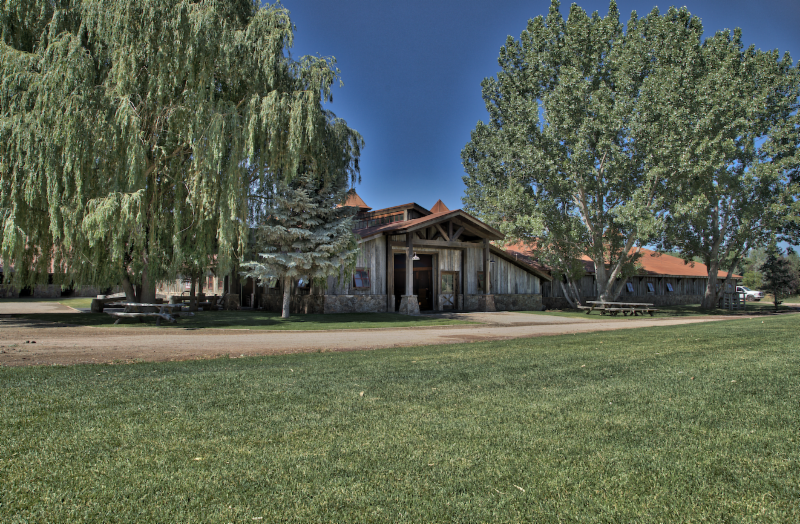 Other grass tournament winners were: Piocho Ranch won the Independence Cup and Craig Sakin Memorial; Los Amigos Blue won the ChukkerTV Challenge; La Karina won the Basalt Handicap, Emma Challenge Cup and Rocky Mountain Cup; Los Amigos Red won the High Alpine Cup; and Tonkawa won the Mount Sopris Cup. 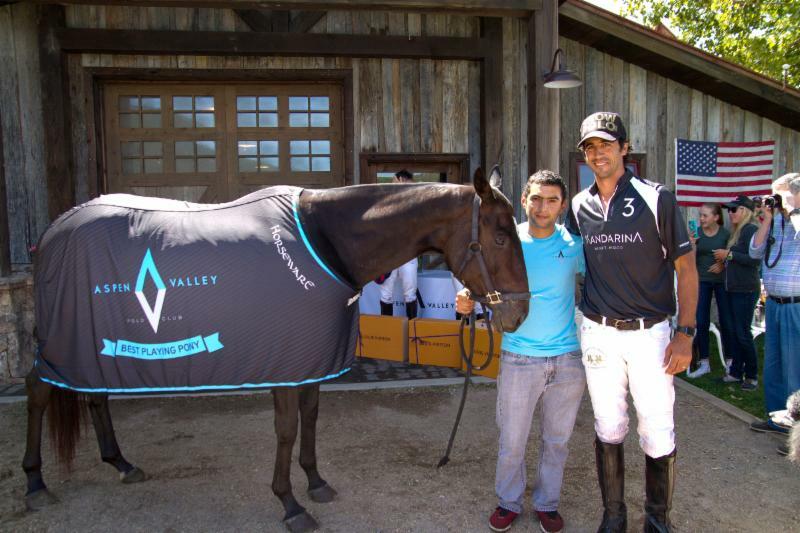 American Polo Horse Association Award-winner Basalt played by Marc Ganzi. 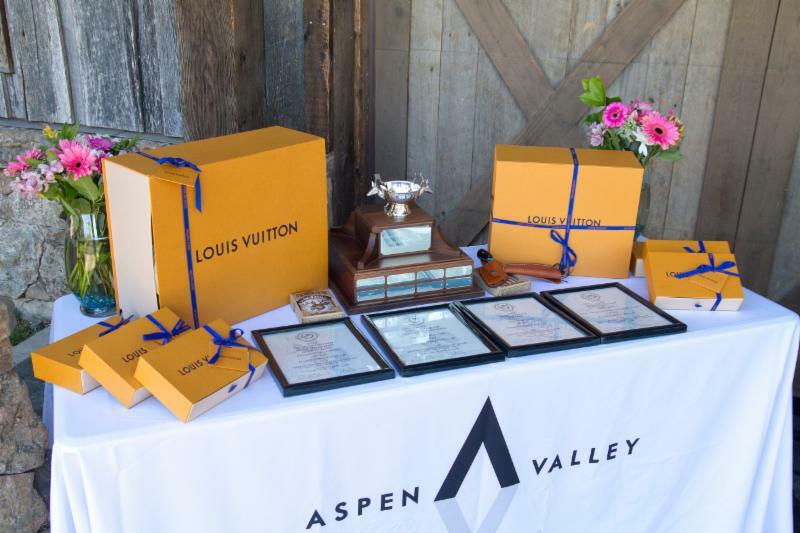 With the breathtaking 12,965-foot summit of Mount Sopris as a backdrop, Aspen Valley Polo Club is one of the busiest and fastest growing USPA-sanctioned clubs in the nation with a membership increase of 75 percent over four seasons. The coveted Triple Crown of Polo designed by Tiffany & Co. 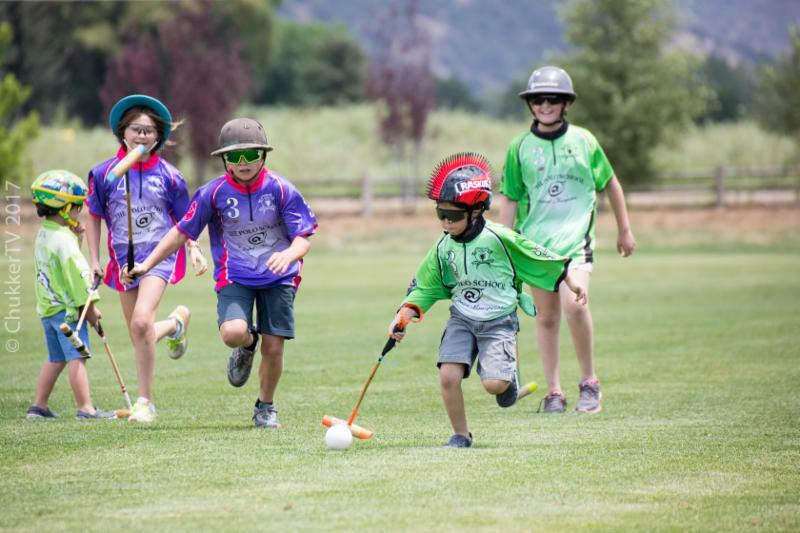 Since Marc and Melissa Ganzi founded the club in 2014, polo has increased in popularity in Aspen and surrounding cities with the club's offerings of various weekly grass and arena tournaments, Gladiator Tuesdays and Asado, Kids Polo, The Polo School and Polo On Demand. In addition, the club offers practice sessions for teams competing in the weekend tournaments. 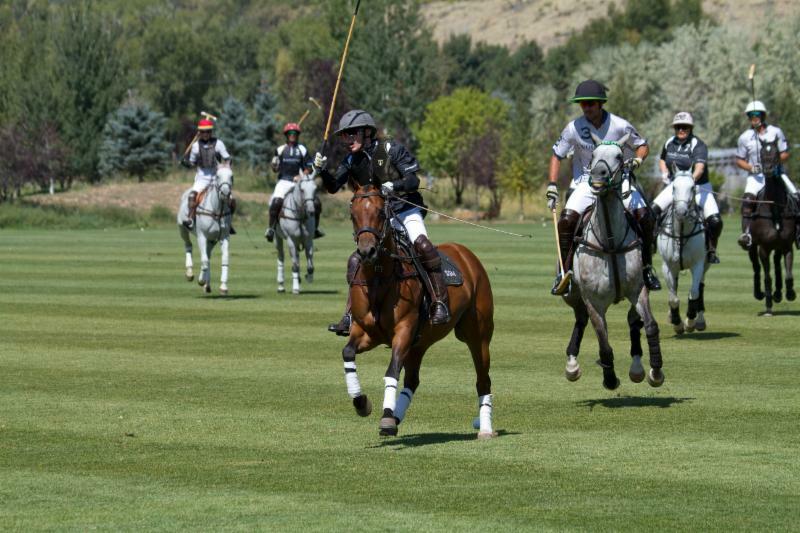 The St. Regis Aspen Resort catered the VIP tent for the Triple Crown of Polo season-finale. 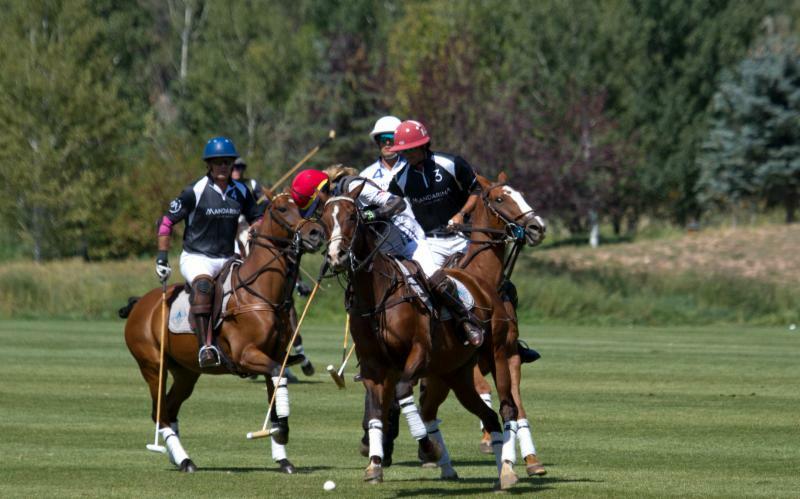 The Ganzis are avid players and patrons and "have created a polo paradise" according to Piocho player-sponsor Tom Barrack. Players, sponsors, community leaders and fans share Barrack's sentiments. 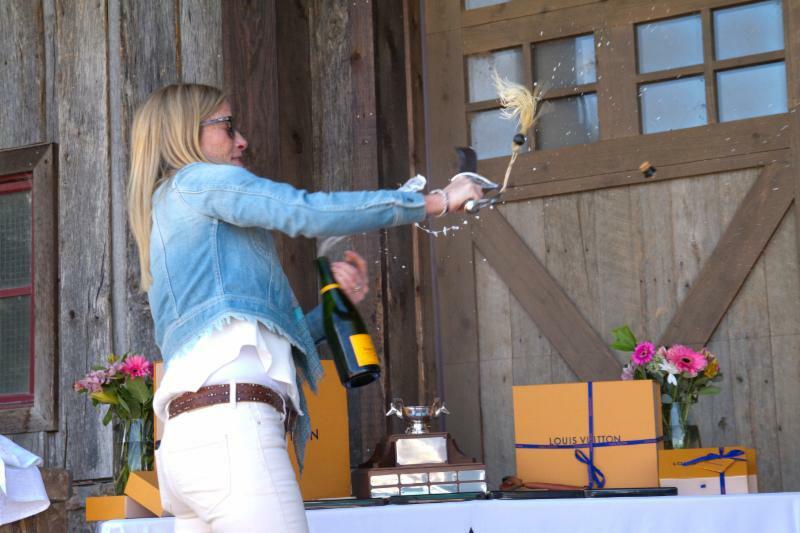 The St. Regis tradition of champagne sabering. 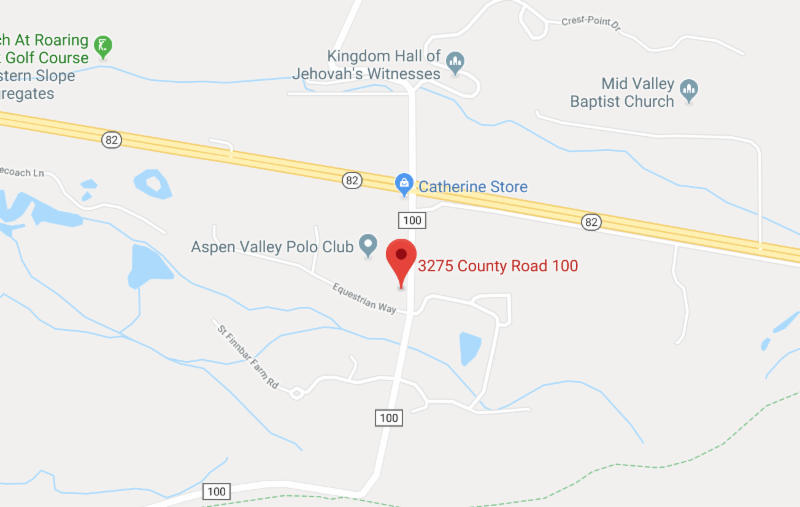 All ages are welcome to enjoy polo at Aspen Valley Polo Club. 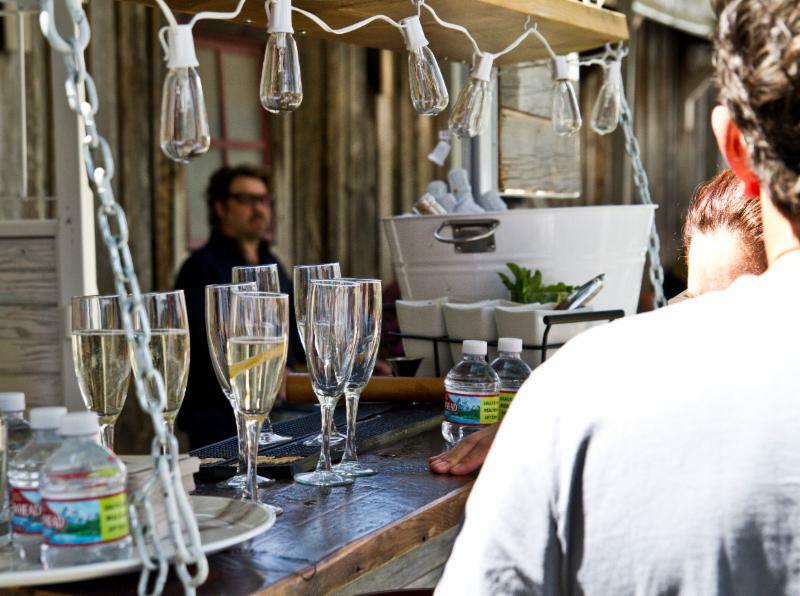 Admission, food and refreshments are free for fans in a relaxed, laidback atmosphere. An added feature is the club's Jumbotron which made its debut this summer for the fans enjoyment. The Polo School and its Director Juan Bollini are dedicated to teaching polo to all ages, particularly grass roots youth. 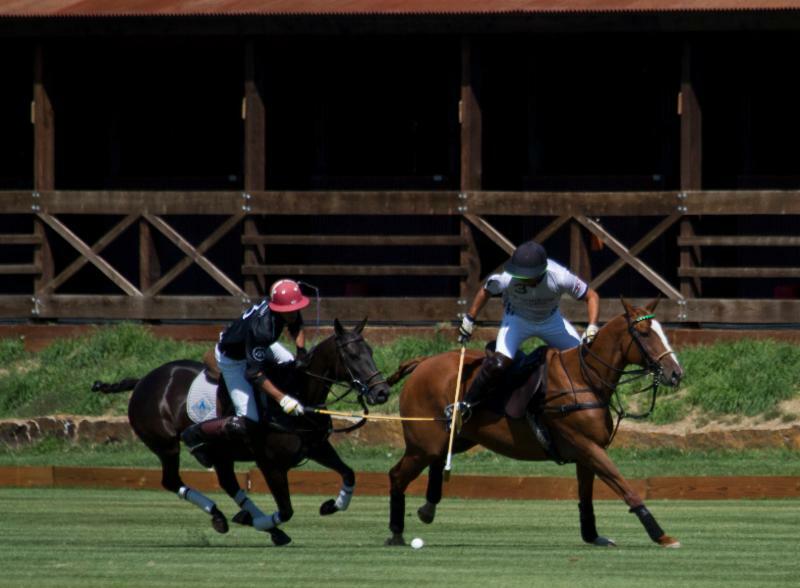 The school's mission is to provide individuals opportunities in polo. For lessons contact Juan Bollini at 561-346-1099.